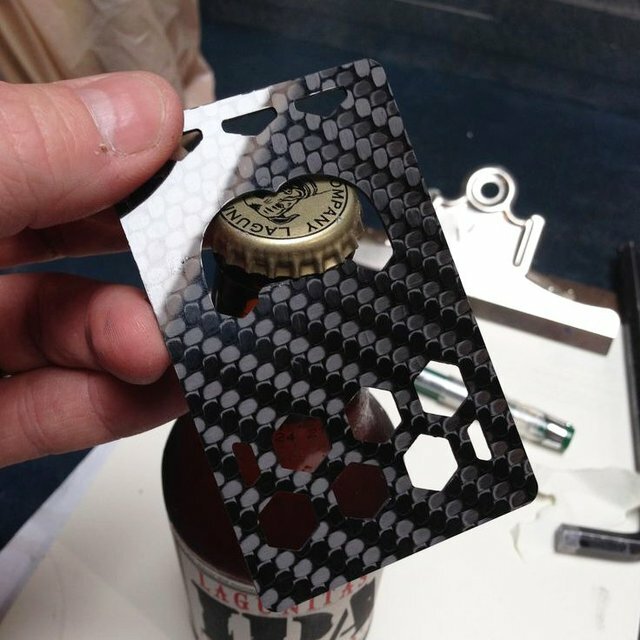 Billetus Carbon Fiber Bottle Opener. The lightest, thinnest bottle opener / pocket ruler in the world. Standard AND metric ruler. Comes individually packaged. Open your favorite beverage with .059″ (1.5mm) of carbon fiber goodness. Side ruler is in inches and centimeters.